This is our Mark Twain humorous short stories on-line page. We offer you a special selection of his stories that you may not be familiar with. 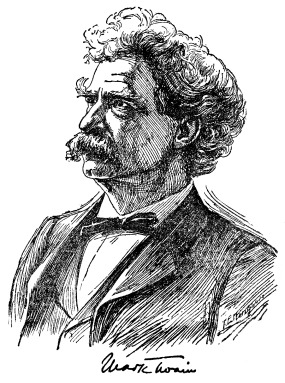 Naturally, Twain’s writings were influenced by his experience. He had many capacities and talents, including steamboat pilot, writer, lecturer, essayist, entrepreneur, traveler and more. It may be that his lecturing tours influenced the style of the pieces we include here, because we think they are wonderfully suited to audio presentation. To demonstrate our point we have recorded selected pieces for you. Listen to a sample of Mark Twain and the Interviewer on our Audio Recordings page! Mark Twain the Name (approx 650 words) - The origin of this famous pen name. Mark Twain Quotes (approx 840 words) - A list of quotes from Mark Twain… this is a small selection of the many, many quotes from Mark Twain.